A House overseer has renewed calls for the White House to release agencies’ plans to downsize and reorganize, which were due last September to the Office of Management and Budget but have been kept private as “deliberative” documents. 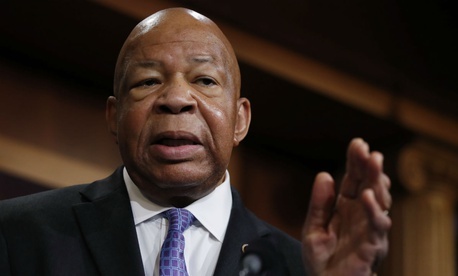 In a letter Friday, Rep. Elijah Cummings, D-Md., the ranking member of the House Oversight and Government Reform Committee, argued that the reorganization plans are final and are already being implemented. He asked OMB Director Mick Mulvaney to reverse his decision to classify the plans as “deliberative” in light of the fact that the White House’s fiscal 2019 budget proposal was completed and released last month. In the weeks leading up to the budget’s release, Trump administration officials routinely said that the plans would be considered pre-decisional, and thereby exempt from public record laws, until the release of the budget. But on Feb. 16— several days after the budget was released—Mulvaney said the reorganization plans were still deliberative in nature. Cummings said that explanation “does not make sense,” noting that Mulvaney’s letter was sent after the release of Trump’s budget. It is possible that the reorganization plans could be released along with President Trump’s management agenda, which is scheduled for roll out next week. OMB did not respond to a request for comment on Friday. Cummings also noted that several agencies already appear to be acting to implement their reorganization plans, which he said casts more doubt on the claim that they remain deliberative. He cited the drop in staffing at the State Department, through attrition and non-hiring for key positions, since Trump’s inauguration, as well as the Interior Department’s reassignment of dozens of career senior executives. He told Mulvaney that the reorganization plans are important supporting documents that lawmakers need to properly assess the White House’s budget plan.